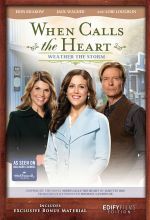 Abigail and the town try and find the perfect investor for the failing town bank. The citizens of Hope Valley find the true meaning of the season with a Wishing Tree that — through the magic of the holiday — helps everyone's wishes come true. 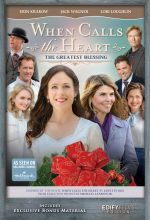 This Christmas episode is the first episode of Season 6 in the beloved series. New miners arrive in Coal Valley to help with the final stages of reopening the mine and the town decides to celebrate with a dance at the end of the week. 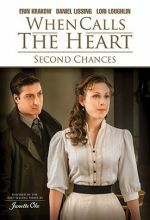 Elizabeth and Jack struggle to get back to where their relationship was before Billy Hamilton got between them. Elizabeth works to find a solution for Bo Grady, who is having trouble reading. 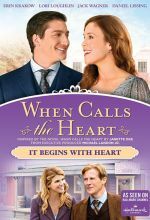 Abigail goes to Gowen with her proposal to reopen the abandoned cafe in town. The town reacts to the fact that Adam Miller has returned to Coal Valley without one of his legs. Elizabeth is informed that she is responsible for the annual production of the Coal Valley Founder's Day Play and scrambles to begin preparations. 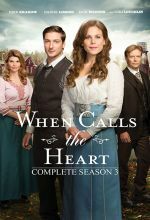 This collection includes all six movies from Season 5 of the beloved series based on the best-selling books by Janette Oke. 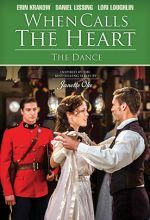 Inspired by the books by Janette Oke, Season 5 continues the story of love, hope, courage, and faith on the Canadian frontier. 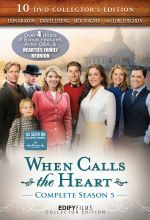 Based on the best-selling books by Christian author Janette Oke; When Calls the Heart: Season 4 continues the story of courage, hope, love and faith on the wild Canadian frontier. 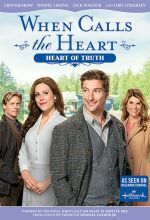 Starring Daniel Lissing, Erin Krakow, Lori Loughlin, and Jack Wagner. 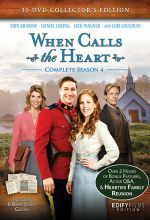 When Calls the Heart: Season 4 continues the story of love, hope, courage, and faith on the Canadian frontier. 10-disc set. 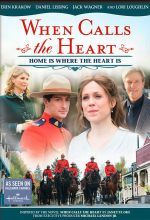 A strong-willed teacher who has foregone the life of the big city, Elizabeth Thatcher (Krakow) has made the small frontier town of Hope Valley her home with no small help from a handsome Mountie named Jack. 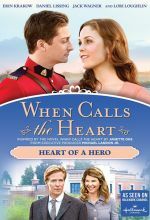 Follow the young school teacher Elizabeth, and the young Mountie Jack, as they face new adventures, trials, and chapters in this unfolding story set in the small town of Hope Valley. 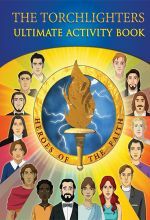 This Season 3 Collector’s Edition includes all the episodes of season three plus bonus features in a 10-disc boxed set. 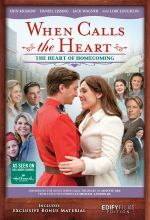 Elizabeth Thatcher (Krakow) is a strong-willed teacher who has foregone the life of the big city and found a job, a home (and a bit of unexpected romance with a handsome Mountie named Jack in the small frontier town of Hope Valley. 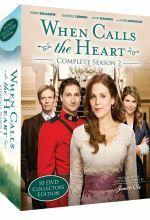 Complete second season of the popular When Calls the Heart series. 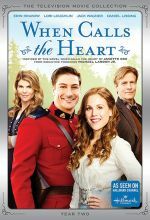 When Calls the Heart tells the captivating story of Elizabeth Thatcher (Erin Krakow), a young teacher accustomed to her high society life, who receives her first classroom assignment in Coal Valley, a small coalmining town where life is simple, but often fraught with challenges. Jack and Elizabeth get married. 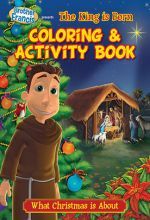 But problems arise for the town when the church catches fire, and Bill has difficulties with a prisoner. In the days before the big New Year’s Eve celebration, Hope Valley sees some unpredictable resolutions. Abigail sets out to catch whoever’s been stealing from her kitchen: and finds herself in charge of two orphans in the process. Elizabeth resolves to take charge of Jack’s dog, Rip, in an attempt to remedy Rip’s apparent jealousy of their relationship. Rosemary is determined to win a San Francisco Herald essay contest about a "real frontier family",… and has to pose as Lee’s wife when a reporter from the paper shows up. 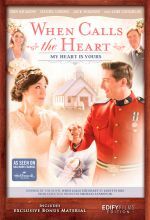 Mountie Jack returns finally to his home in Hope Valley so that he and Elizabeth Thatcher can start planning their wedding. 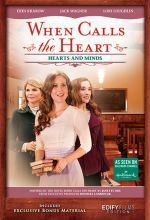 Elizabeth mentors Julie, who finds teaching more difficult than she imagined; Abigail has to find a way to convince the railroad to build its depot in Hope Valley. 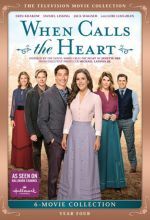 Life on the frontier can hand you many tough turns, and so it is for Jack and Elizabeth as they face their very different upbringings, the pressures put upon them by family, rival suitors, and even various criminal counterfeiters and kidnappers in their quest to find their place in this remote and rugged land. 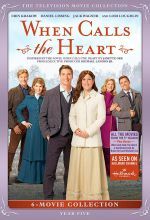 The arrival of the railroad brings growing pains for Hope Valley, and Elizabeth finds she doesn't have enough school supplies for all of her students. Rosemary helps her settle on the idea of a carnival to raise funds. 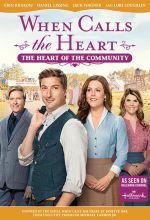 But also "helping" is Ray Wyatt, the railroad representative, who launches a campaign to replace Elizabeth as Hope Valley's schoolteacher! Meanwhile, Abigail tries to find a balance between good business and what's good for the town, and Frank, Bill and Jack find their hands full after the Tate brothers break out of jail… and begin their own campaign to rob the bank! New arrivals bring excitement, love and danger to Hope Valley.